Kleefeld on Comics: Where's My Metamorpho? 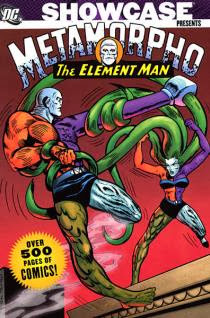 In honor of today being Ramona Fradon's birthday, I want to ask, "Where are my Metamorpho reprints?" Oh, sure, we've got that one Showcase volume, but it's in black and white. Black and white! How could anyone look at one of those old Metamorpho stories and think, "Yeah, this would be MUCH better without color"? Happy birthday, Ramona, even if DC isn't doing your work justice!